PUBG is biggest hit of 2018 so far. 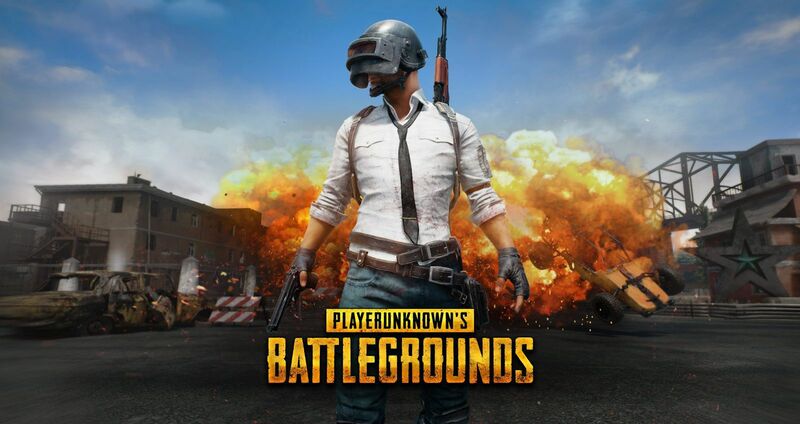 Playerunknown’s Battlegrounds released by Bluehole Studio’s subsidiary PUBG Corporation features one of its kind multiplayer online battle royale game system. Interestingly, players can switch from a third-person to first-person at any time during the gameplay. The meteoric success of PUBG has taken everyone by surprise. Millions of players from all over the world play online competitions. If you are experiencing lag or crashing issues, it may be due to heavy load on the game’s servers, so be patient while developer try to fix the issue. There is another annoying issue being reported by players, which is related to frames per second in PUBG. So if you are facing a similar problem, you would find this guide helpful to increase the FPS in PUBG game. Although this issue may not be as sever as the Bad_Module_Info error on Windows 10, see this guide to fix Bad_Module_Info, but nonetheless it is still affecting a sizable number of players of the game. This is an Xbox exclusive title, but soon many copycats entered the market on various platforms to cash in on the game’s success. 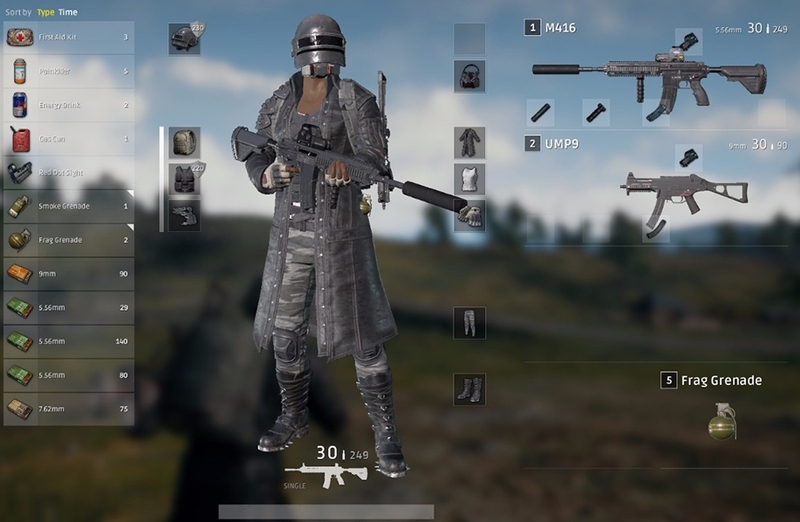 However, now developers have released the official worldwide version of Playerunknown’s Battlegrounds for everyone to play on computer and mobile devices. Game starts with 100 players drop simultaneously from a plane onto a deserted island without any escape routes. The expansive island contains plenty of weapons, resources, and useful items necessary for survival in a remote location. Only the last player standing wins the day. For that, you must carefully eliminate other players. Before trying the solution mentioned below, try to enable or disable full screen optimization on Windows 10 to see if it works. Those who are using devices having AMD GPUs can breath a sigh of relief because the company has released driver optimization updates that give an additional 14% performance boost (in some case, 17.8.2 and above). Whereas, Nvidia users might not be as lucky when it comes to playing PUBG at maximum FPS for a sustained period of time. Despite several driver updates, the issue persists while running Playerunknown’s Battlegrounds on Nvidia GPUs. So here’s what you can do to fix the problem. 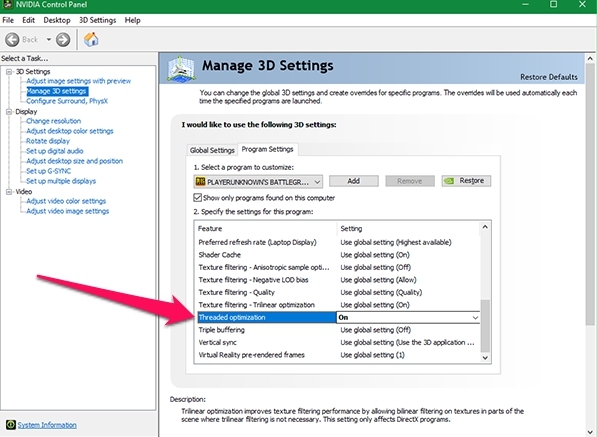 Right-click on desktop or click start menu and open the Nvidia Control Panel. Now, head over to Manage 3D Settings > Program Settings > Playerunknown’s Battlegrounds and scroll down to ‘Threaded Optimization’ and turn this option ON. This method doesn’t impact the game’s visual quality. Recommended For You: How to Enable Game Mode on Windows 10 | How To Play PlayStation Games on PC Windows | How much RAM does PC Windows 10 need? If the above solution doesn’t work to address the problem, there is something else that you could try. This technique requires playing around with the compatibility settings of the game. Then, head over to TslGame > Right-Click > Compatibility > Override High DPI Scaling Behaviour. Click on the drop-down menu and select ‘Application’. This should give your game needed boost in terms of FPS without effecting graphics quality. Hopefully above mentioned solutions worked on your device. If not, send your queries in the comments section below and we will try our best to address them as soon as possible.